George Armistead, a birder since 9, now has 20 years of experience as a professional guide – having led trips to all seven continents. 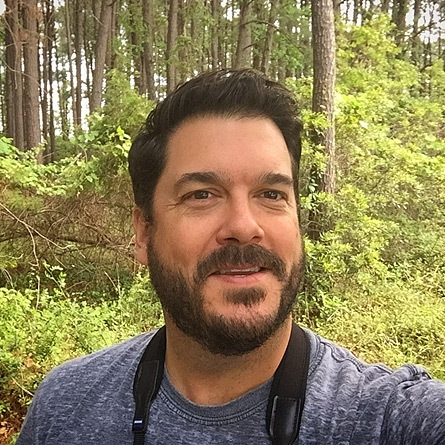 His involvement with the American Birding Association included managing their events program, serving on their Recording Standards and Ethics Committee, and instructing at ABA young birder camps. He is also the author of two books – Better Birding: Tips, Tools, and Concepts for the Field (2015, Princeton University Press) and The ABA Field Guide to the Birds of Pennsylvania (2016, Scott & Nix, Inc.) – and received his Masters degree from the University of Pennsylvania. As Rockjumper’s new Chief Network Officer, he will focus on partnerships and promotions, while continuing to guide a tour every so often. He will also represent Rockjumper at key events in the USA and elsewhere, and will assist in our efforts to expand the company’s impact in bird and wildlife conservation.